I’ll share some thoughts, observations and media from the conference with you. You can read about the guests in full here, but I will note a few highlights below. 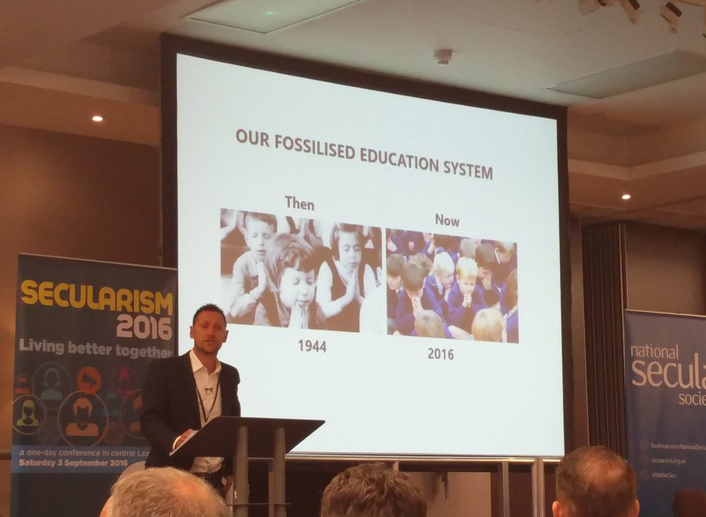 The subtitle of this year’s conference was ‘Living Better Together’. 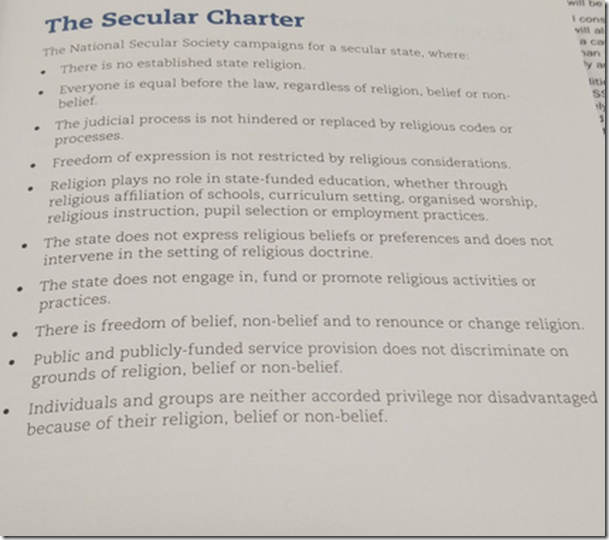 You can hear NSS President Terry Sanderson explain the meaning behind that on my podcast – but essentially, it’s the idea that secularism is best achieved by working in co-operation with people of all religious persuasions (and none). 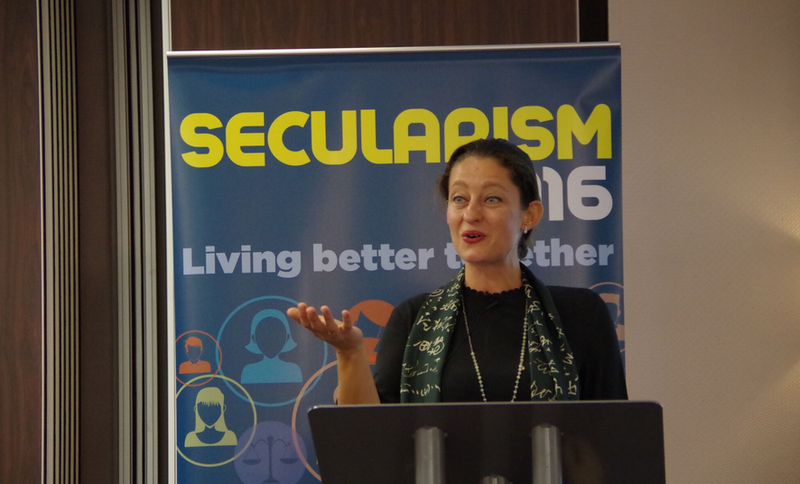 You strengthen a movement by finding common causes with decent people of faith, rather than limiting (and isolating) yourself simply by ‘attacking’ religion. 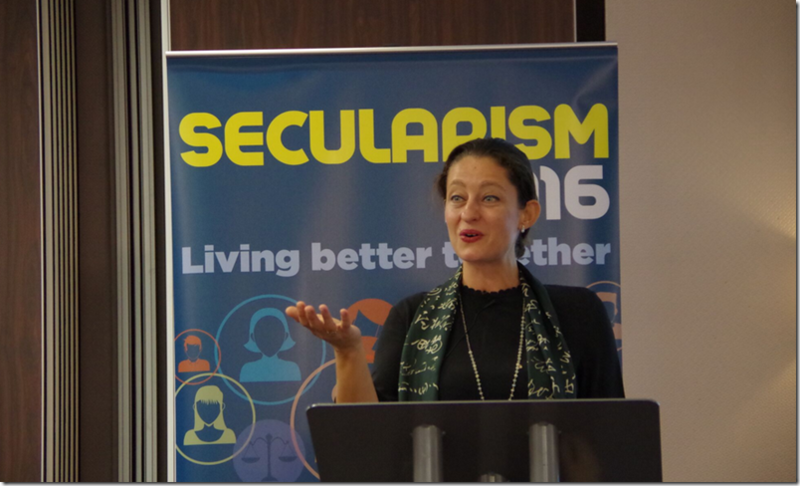 If you want to be a force for change and progress for the secularist cause, you have to think politically – otherwise you risk relegating yourself to the function of a protest group. Safak is a Turkish diplomat and spoke very passionately about the issues of free speech globally, and of course in Turkey. This is a particularly worrying time for people like Pavey, given the increasingly anti-press attitudes and Islamist leanings of the Erdogan government. I’d never heard Tehmina speak until this conference and immediately wondered how I hadn’t before. 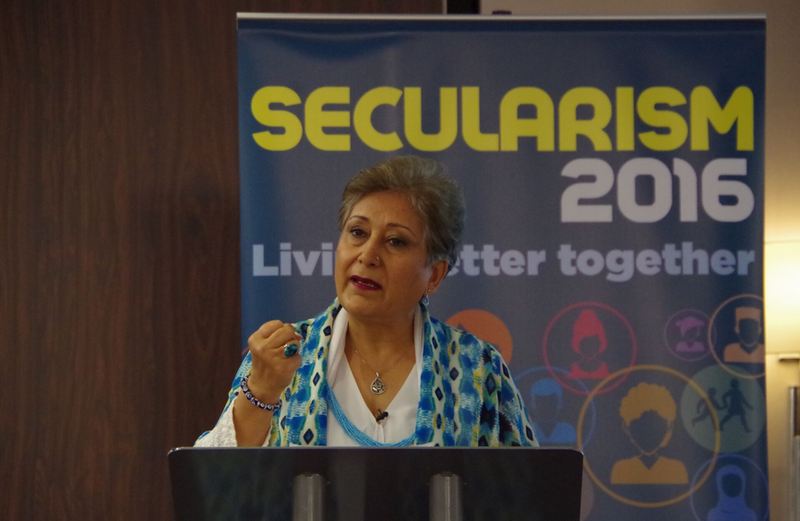 She is the former director of British Muslims For Secular Democracy and spoke very eloquently about the importance of freedom of speech where criticising religious ideas is concerned. I’d be keen to hear more from her. 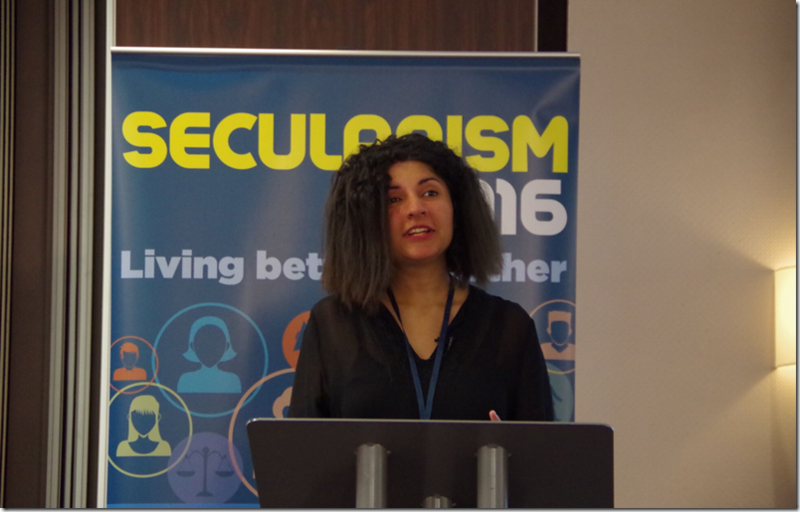 You can find out more about Tehmina on her Facebook Page. Berlinerblau is an American author and the keynote speaker. 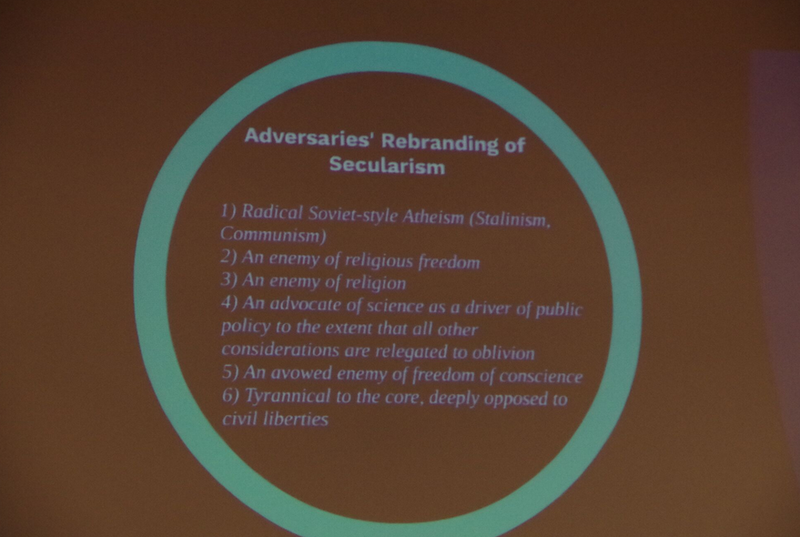 Berlinerblau gave a very knowledgeable and humour-filled lecture on the different theories of secularism understood throughout history and today. 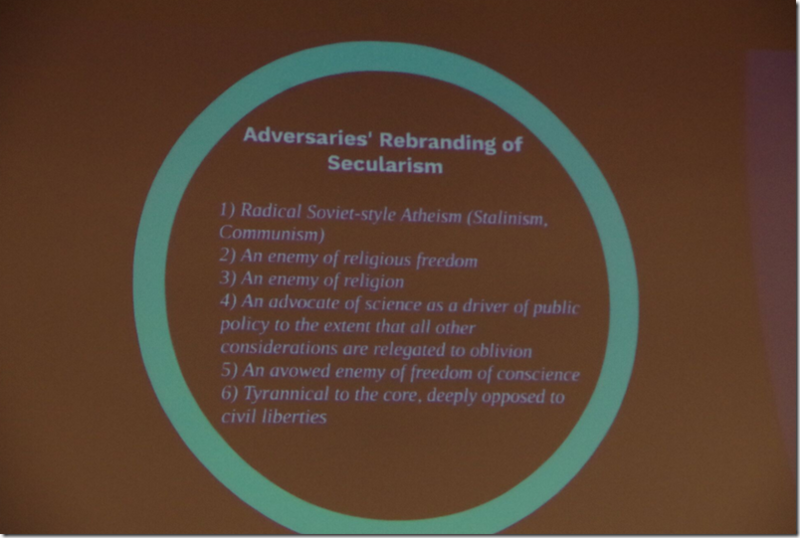 Although I found this education on the various interpretations of secularism fascinating and well delivered, Berlinerblau lost me on occasion due to his comments about ‘new atheism’ – namely that it’s “creepy” (the words of his students) or futile to try and persuade people out of their faith. That Berlinerblau would feel this way actually affirms the privileged status that religious ideas enjoy – given that equally absurd, but non-religious ideas would receive a fair amount of push back in a civil society without that process being considered “creepy”. 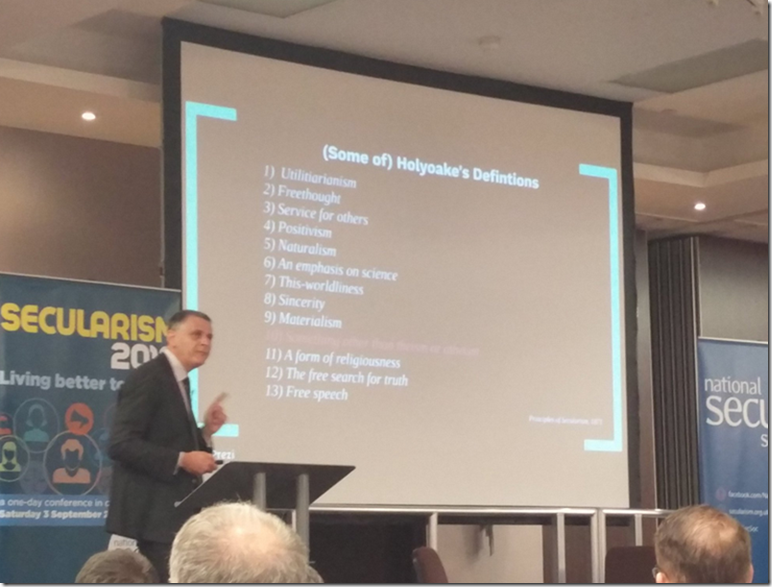 I understand not everyone is on-board with the highly critical and aggressive style of tackling religious ideas – but there are other, more productive ways to try and shake people free of their faith too. 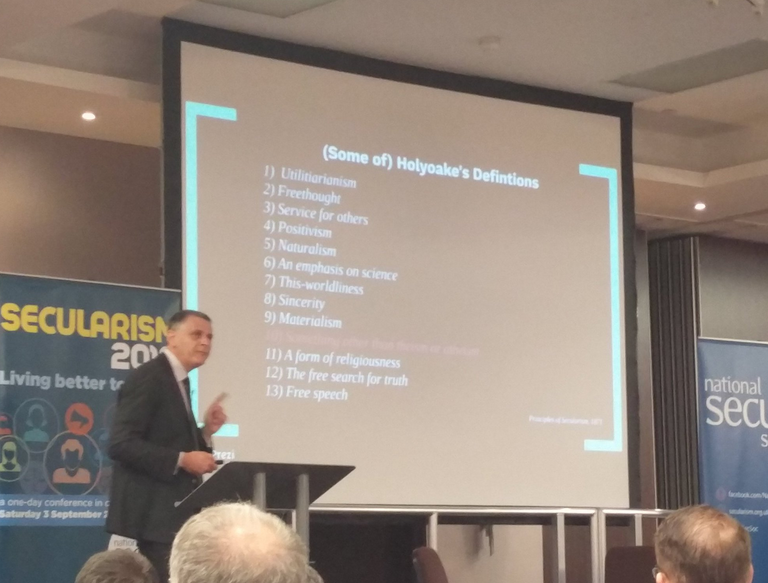 Peter Boghossian’s emphasis on Street Epistemology is a good counter point for example. Unless I’ve misunderstood, Berlinerblau also seemed to imply that the problem of Islamism currently blighting Europe is actually a product of Europe rather than Islam, as he claimed “Wahabism isn’t indigenous to Islam”. He also seemed to be of the view that certain forms of speech should be limited in public, but didn’t really expand on which should be limited and how that would be enforced. Despite these disagreements, I really enjoyed his talk and found it refreshing to hear an alternate view. He’s a great speaker. 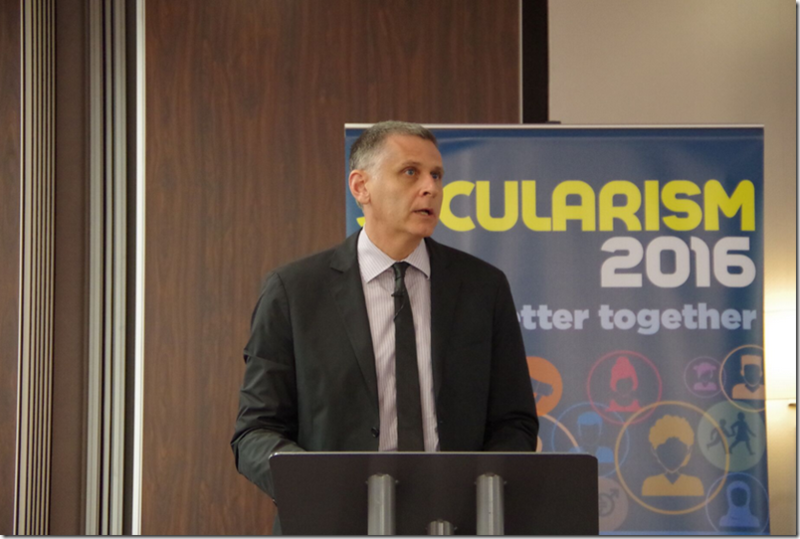 Paul Rowe won the Secularist Of The Year Award in March and spoke about the work ‘Educate Together’ is doing to provide a secular alternative to the education system in Ireland. 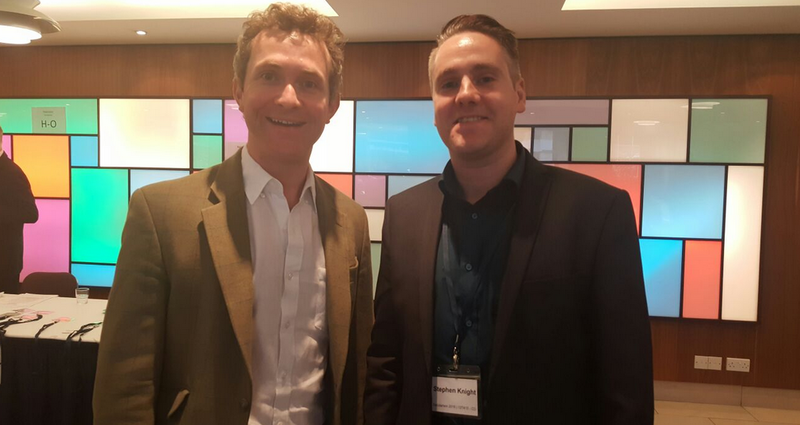 I bumped into Douglas Murray as he arrived at the venue during the afternoon break and filled him in on what he’d missed from some of the other speakers. He was very friendly and kind enough to ask me how the podcast/twitter was going. Stephen Evans is the campaigns director at the NSS and spoke at length about the problem of faith schools in the United Kingdom, including the increasing concern with illegal, off the books schools which are almost exclusively religious in nature. It may come as a surprise to many, but as depicted in the above image, even English state schools are subject to mandatory ‘collective worship’. The now imfamous footage of Ben Affleck’s tantrum in the presence of Sam Harris generated the biggest laughs of the afternoon. 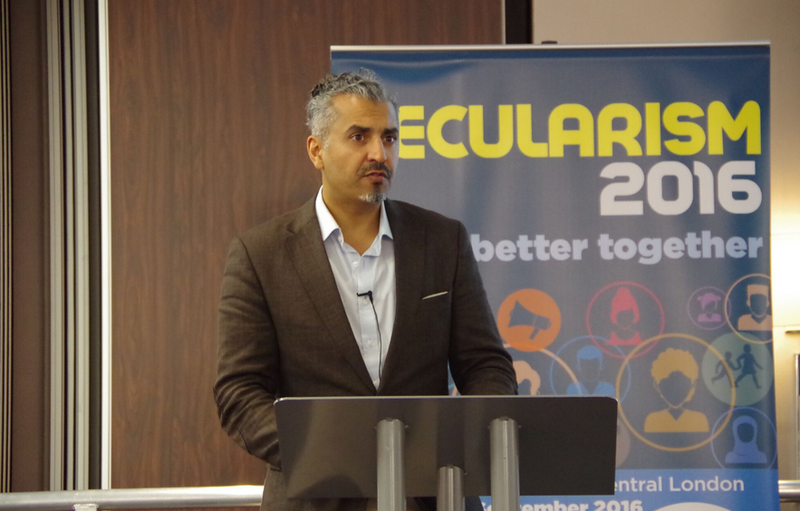 Raheel made some fantastic points about the ‘Islamophobia’ crowd. She’d rather they spent more time directing their ire towards the Islamists that wish to kill her rather than those who say critical things about Islam. Maajid is a staunch liberal, dedicating his energy to opposing extremism with the Quilliam foundation – telling the audience that “Islamism must be intellectually terminated”. The gentleman posing the question did note that he found this attitude bizarre. Douglas Murray offered up the theory that perhaps it was because “it’s the truth that hurts the most”. 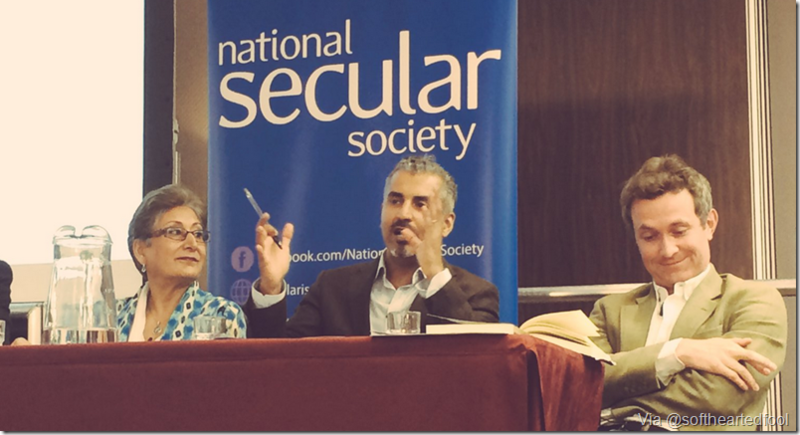 Maajid took the question in good humour, but warned about making it a self-fulfilling prophecy by addressing it – noting that he doubted whether these individuals were in fact ‘moderate’. Nawaz referenced the poll which revealed that over half of British Muslims would like to see homosexuality criminalised and speculated that the sensible half of that poll were the ones on his side. He spoke about those that are seemingly moderate on the outset, yet still romanticise notions of an Islamic caliphate. Despite some people confusing the Q&A section with an opportunity to embark on a question-free monologue, there were some impressive individuals putting their hands up nonetheless. For instance, a Somali secularist spoke up about the harmful cultural relativism infecting the regressive left when she asked “when can we get support from other communities?”. This is a constant plea from people of colour, specifically of culturally Muslim backgrounds who step away from the orthodoxy of their religious upbringing to stand for secularism, freedom of expression, gender equality and broader human rights issues. As this brave individual told us, she puts “a target on her back” just for speaking openly about these values, to very little support from so-called liberals. As we see time and time a gain, the far left fall victim to the ‘racism of low expectations’ – abandoning these courageous dissidents and choosing to bolster the influence of those who would denigrate them as “uncle toms” or “house Muslims”, or worse – do them harm. Another courageous (and nervous) young woman from Saudi Arabia took the microphone to ask questions too, reiterating the danger she puts herself in just for doing so. 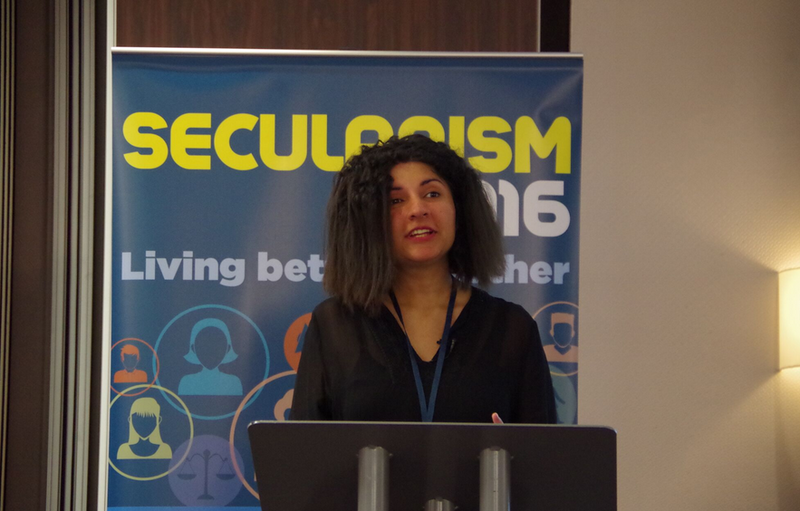 Maajid congratulated her on her bravery and encouraged her to speak up as often as she gets the chance. I’m utterly convinced that theocracy will be brought to its knees by empowering female dissidents. There’s a reason religion is dedicated to limiting the rights of women – theocrats are utterly terrified of smart women. For their ‘male honour’ to be preserved, these woman must be kept in their place. 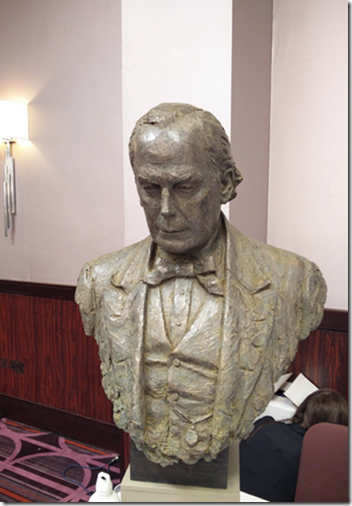 Although he was not there to speak, it was wonderful to see Professor Dawkins in attendance. Dawkins is like a magnet at these events – everyone wants to speak to him and it was great to see him looking healthy, conversing with attendees and supporting secularism, as he always so vocally has. 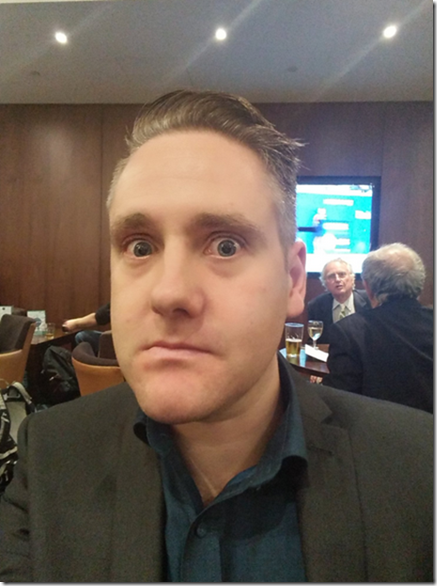 I tried to sneak a covert selfie. I think I may have been caught out..
Peter Tatchell also said a few words at the gala dinner about the current threats to free speech in proposed government legislation and paid tribute to the hard work and successes of the National Secular Society. Charles Bradlaugh founded the National Secular Society in 1866, and above is an unfinished bust of the great political activist that the NSS hopes to have displayed in parliament. You can support this project here. 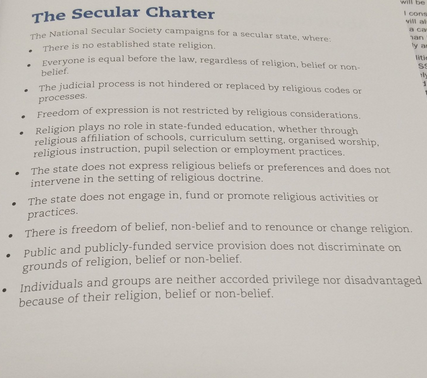 I would strongly urge you to become a member of the NSS if you can, or consider supporting their campaigns by contacting your MP about them, or sharing them on your personal social media accounts. 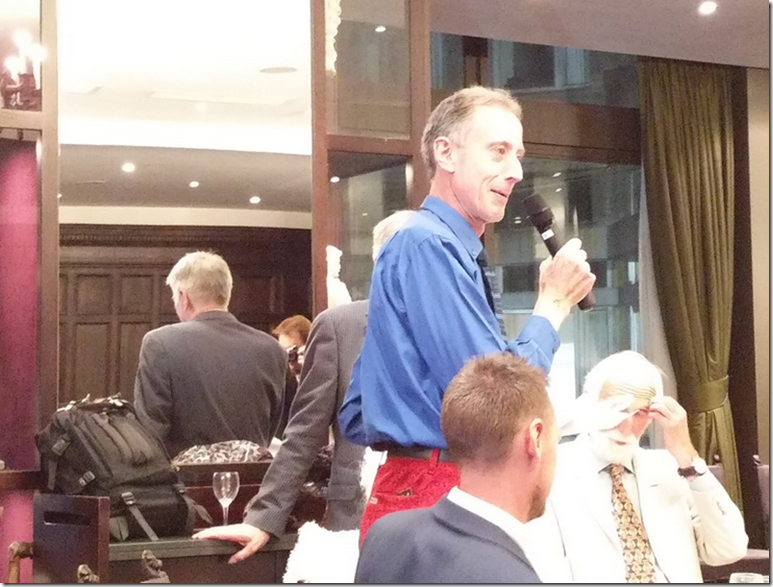 Special thanks to Adrian Tippetts for some of the event photography used on this blog. Nice to see one of these organisations seems to actually represent what it says it does. I usually tend to find that groups claiming to represent abstract principles get hijacked by either the far-left or far-right for the sake of pushing an ideology under a more respectable name. A bit coincidental, “gentleman stood up to talk about his ‘moderate Muslim’ friends – reiterating their lack of piety and dogma. He then went on to tell Maajid that these friends “absolutely hate you”. although I couldn’t make it in the end, I had planned to ask a similar question after so many of my moderate liberal friends had reacted very badly when I told them I planned to see Maajid Nawaz speak.